Summer has started and the summer break is just around the corner. With that, our keiko schedule changes significantly for this summer. Private training sessions are available during weekend at the end of August. If you are looking to purchase MSR Bo-Shuriken, please let me know as soon as possible. I can then place your order and pay Otsuka-sensei in Japan in 2 weeks. Please note that we are moving away from Facebook, making future announcements on our general website and for our MSR Canada members on our Members Only website. All members have received information about this already. If you want to continue to follow our activities in Canada, post announcements will be made in Facebook automatically, just like this one. In addition, we are setting up regular Keiko Cafe sessions. Please see the Facebook group for announcements. End of 2016, Hello 2017! The year 2016 was fantastic for Taka Budo Dokokai Martial Arts, Inc., and in particular for the Meifu Shinkage Ryu department. We were privileged to train with Otsuka-Sensei in Japan at the Tabata dojo, and again during the seminar in La Ronge in October. New members passed their first examination, whereas other members passed their Kyu and Dan ranks. The year 2017 will be another fantastic year. 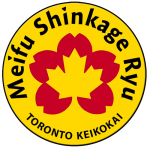 First of all, the Meifu Shinkage Ryu Canada – Toronto Keikokai will start under leadership from Nigel. The startup will be slow to establish a solid foundation. 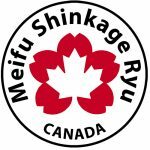 There is quite some potential to grow Meifu Shinkage Ryu in Toronto and in the greater Ontario; a great opportunity. February 2017: Japan trip for Chris, training Meifu Shinkage Ryu with Otsuka-Sensei, and other schools with some of chris’ other senseis. April 2017: Planning a 4-day intensive seminar with Filip Bartos, for Mugai-ryu, Meifu Shinkage Ryu, and taijutsu and jujutsu. 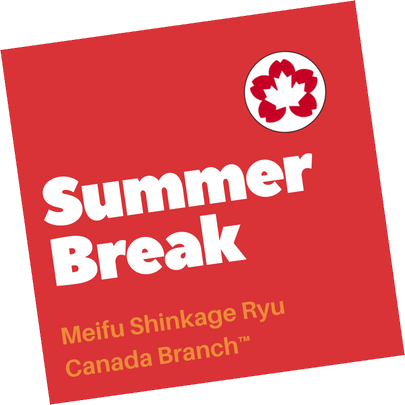 Summer 2017: Possible Yagyu Shinkage-ryu and Yagyu Shingan-ryu seminar in La Ronge. October 2017: Planning a 3-day Meifu Shinkage Ryu seminar with Otsuka-sensei. Please note that opportunities 3 and 4 are semi-private, with early bird registration fee of $300 for each seminar, and $600 for the April 2017 seminar. If you are interested in reserving at the early bird fee, please contact Chris de Feijter. 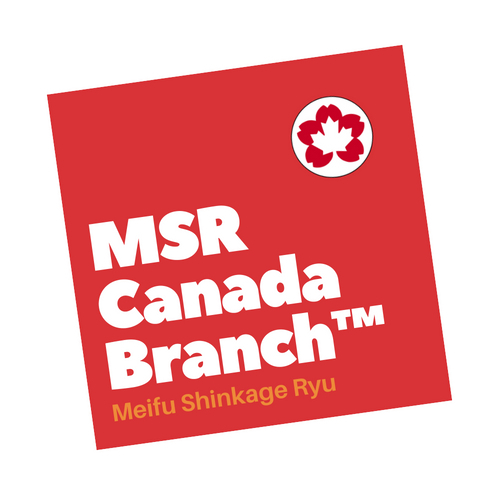 MSR Canada Branch members will receive the usual 50% discount on seminar fees for MSR related seminars. 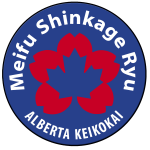 Meifu Shinkage Ryu training in November followed many training activities as practiced during the October 2016 Saskatchewan Seminar. Compared to previous training sessions, we decided to focus our training using one tool in particular, supplemented by the other. For example, the majority of training focused on Bo-Shuriken, and additionally, some of the Fundo-kusarijutsu kata were reviewed as well. One of our newest member is starting to transition to the hard fundo-kusari. The soft fundo kusari is a great training tool, however, any member must transition to using the hard version sometime during the training progression. Therefore, we think it is important to do so as soon as possible, not much later than after graduating the 5th kyu level. Taking safety and confidence into consideration, it is however imperative that new members use hard fundo-kusari only with very limited power with the focus being on flow. This resulted in a review of Ippon-me to sanbon-me-ni. In addition, some members have started working on the Nidan and Sandan kata, as detailed in the Mokuroku for Fundo-kusarijutsu. This is a new step towards further and deeper understanding of all the skills and techniques in the Meifu Shinkage Ryu curriculum. Todays training was about all Bo-Shuriken waza, all stances and distances from 1 to 2 ken. Gyaku uchi is difficult from 2 ken. After that, I started to train Shomenuchi with the left hand from 1 ken. This was very interesting and forced me to really focus on the hand grip as left is my non-dominant hand. Then I followed up with Shomenuchi with two shuriken, one from the left hand and one from the right hand, thrown at the same time from Heiko-dachi and Fuko-dachi. I ended the training with throwing two shuriken at the same time from the right hand, trying to keep them within a 15cm grouping. I also experimented with the new style bo-shuriken that arrived yesterday. The Shingetsu-ryu bo-shuriken are so strong that they almost penetrate two puzzle mats. I could not practice with the MSR Hanten-daho shuriken as I did not have enough room to move beyond 3 ken. We had quite the week last week, here is an overview of what was worked on. Hip rotation and power generation while relaxing was the focus of all sessions. – Shurikenjutsu, focusing on gyaku uchi only: the diagonal and horizontal variety. 1 hour session. Welcome to our latest MSR member, Lance. This 2-hour session was mainly an introduction session for Lance, where many aspects from MSR were explained, demonstrated and reflected on. Closer towards half way of the session, after explaining balance, footwork and the hand grip position, Lance threw a few sets of 5 Bou Shuriken using Shomen-uchi. He did very well, and was really relaxed in his throw, posture, and mindset. We decided to leave the real introduction for during the seminar. 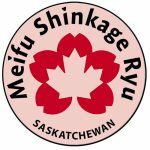 Nevertheless, Lance decided to become a member of MSR Saskatchewan Keikokai.